WILLEMSTAD - Passenger traffic to Europe has increased by 9% during the 2nd Quarter of 2014 compared to 2013 due to more seats out of Amsterdam and more passengers on board of the flights of both Amsterdam and Düsseldorf. 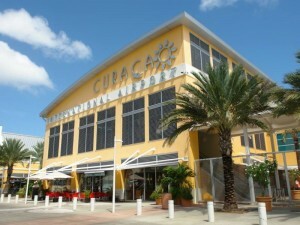 However, Curacao experienced an overall decline in passengers during the 2nd Quarter of 2014 of -5% compared to the 2nd Quarter of 2013. The number of departing passengers declined by -2%, the number of transfer/transit passengers declined by -16% and arriving passengers were down by -4% compared to the 2nd Quarter of 2013. Transfer and transit passengers are mostly driven by the Venezuelan market which declined due to factors such as fewer seats being offered in this market and the challenging economic and political climate of the last few months. This passenger segment remains challenging. Passenger traffic to and from Europe has increased by 9% during the 2nd Quarter of 2014 compared to 2013 due to more seats out of Amsterdam and more passengers on board of the flights of both Amsterdam and Düsseldorf. The North American market showed a decline of -7% during the 2nd Quarter of 2014 compared to 2013 due primarily to fewer seats from Miami offered to this target group compared to the number of seats offered in 2013. Canada remains strong and growing and Air Canada has announced Montreal and year round Toronto service as of winter 2014. The Latin American market has decreased by -7% during the 2nd Quarter of 2014 compared to 2013 and this is mainly due to less traffic to and from Venezuela. Colombia, Panama and Brazil are showing growth and are expected to continue to do so in 2014. The Dutch Caribbean market declined by -10% during the 2nd Quarter of 2014 compared to 2013. Compared to last year there are less airlines servicing the islands and the airfares have increased causing leisure travelers to consider other options.